Your generosity has helped thousands of students to join our alumni family, creating an academic experience that is both accessible and affordable. And now your help is needed more than ever. Your generous contributions through unrestricted gifts and scholarships make it possible to provide merit-based and retention scholarships for students who need it the most. Read about how your support enables them to reach their potential through access to an affordable education. What do you consider to be your passion in life? My strongest passion is building relationships with people. I truly love to make meaningful connections, whether it be with my students or even people at church. There’s something so wonderful about learning as much as you can about a person and really understanding them. I also have a deep passion for reading. My favorite book is Of Mice and Men, it’s such a beautiful story. I want to teach high school English. Reading is such a huge part of my life and the idea of passing that along to other young minds is so exciting to me. I also plan on continuing my education and earning my master’s in English. How have scholarships assisted you? I have always lived far away from campus, so driving back and forth to school was becoming so costly. The Joan Marie Eighinger Scholarship and the Mary Ruth Scott Memorial Scholarship really helped relieve some of that financial burden, so I could focus on my studies and not on the costs. If you could tell our donors one thing, what would it be? I would love to be able to tell them how grateful I am. The scholarships I received made such a huge impact on not just my life, but those around me as well. Their generosity is almost like the ripple effect. Because of them, I was able to continue my education and become a great teacher for my future students. What tips do you have for new students? Take the time to discover what makes you excited, what you’re passionate about and go after it! Remember to enjoy your time too, don’t rush through this stage of your life. 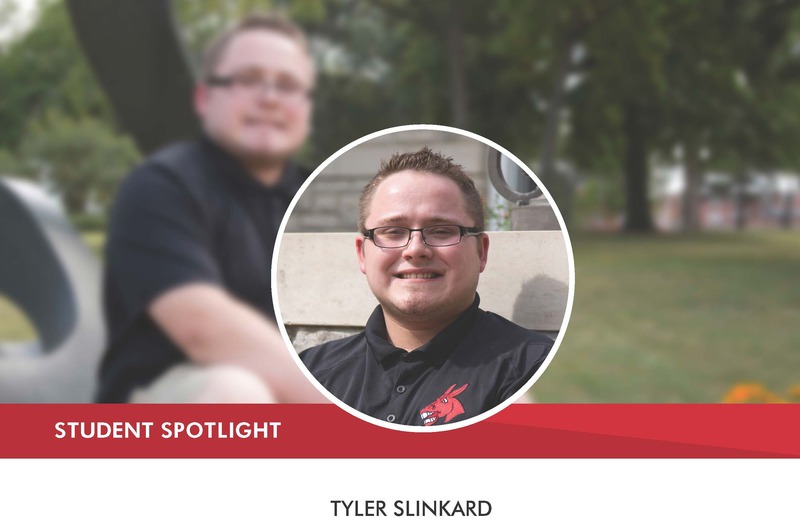 What do you love most about the University of Central Missouri? The relationships I have built with my professors and peers. I am thankful to be surrounded by individuals who constantly push me to be the best person I can be, and professors who can actually give me meaningful learning experiences that I can use in the classroom. My husband and I own a farm, so I spend most of my free time with our cattle. I’m also involved with a girl’s youth group at the church I attend and of course, reading! My family and my friends are so special to me, they give the most meaning to my life. I also am quite passionate about accounting! I plan on working for an accounting firm in Kansas City after I graduate, I already have a couple of potential internships lined up around that area! My real dream is to eventually be an accountant for the Kansas City Royals! The Coleman Family Scholarship and the Province Family Business Scholarship made it possible for me to take part in so many great organizations and participate in the activities and trips that they go on. I don’t think I would have had so many opportunities if I had not received those scholarships. If you could tell our donors one thing what would it be? Their support has meant the world to me. The generosity I have received is just above and beyond anything I could have ever dreamed of. Discover all your options, whether it be changing up your major to something totally unexpected or being a part of an organization that you love, never be afraid to take those risks. 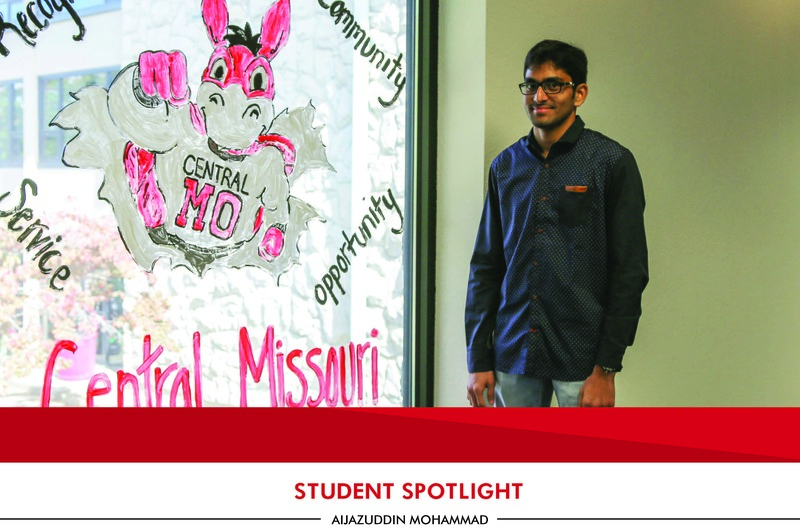 I come from a small town in Missouri, so the University of Central Missouri is just the perfect blend of small hometown feel with big city diversity and uniqueness. I have met so many new and different people, but everyone always feels so connected. It’s just such a great and positive atmosphere. I really enjoy doing puzzles, drawing and playing sports! I’ll play just about anything, but softball and basketball are my two favorites! I have loved math my whole life, so I am very passionate about it. My other passion is the ministry. I plan on becoming an actuary, but I think my dream career would be to go into ministry. Because of scholarships I didn’t have to take out any student loans. So when I graduate I will be completely debt free and much more financially prepared! 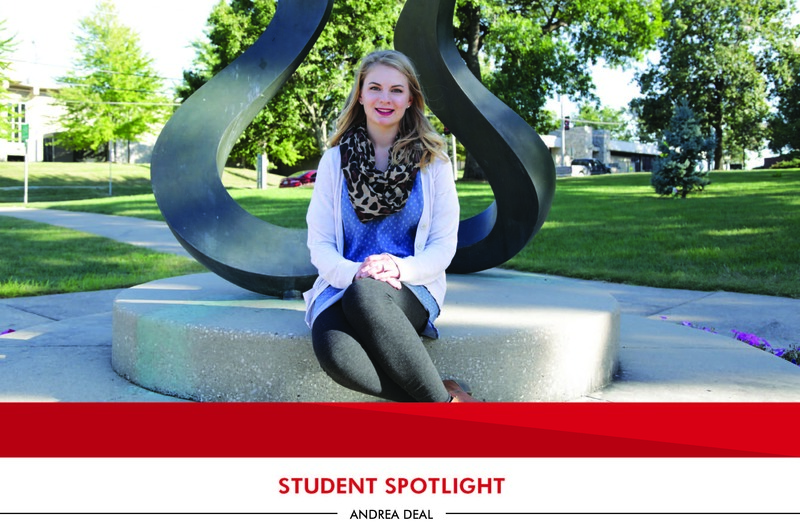 Because of their support and generosity, I have a great desire to give back to UCM once I’m able. What advice would you give to new students? Go after your dreams, even if it’s going to be a challenging road. I really love the community of UCM, it has such a small town feel! I can go to lunch and run into at least five people that know my name! When I have free time, I love spending time with friends and family, reading, and playing sports. Economics, particularly natural resources and climate change. I love studying all the data and discovering new patterns and information. I plan on earning my PhD in Economics, with a focus on International Trade and Environmental Economics. Working in the field would be great, but I really like the idea of teaching in higher education once I have completed more research in my field. The RJ Green and Hazel B. 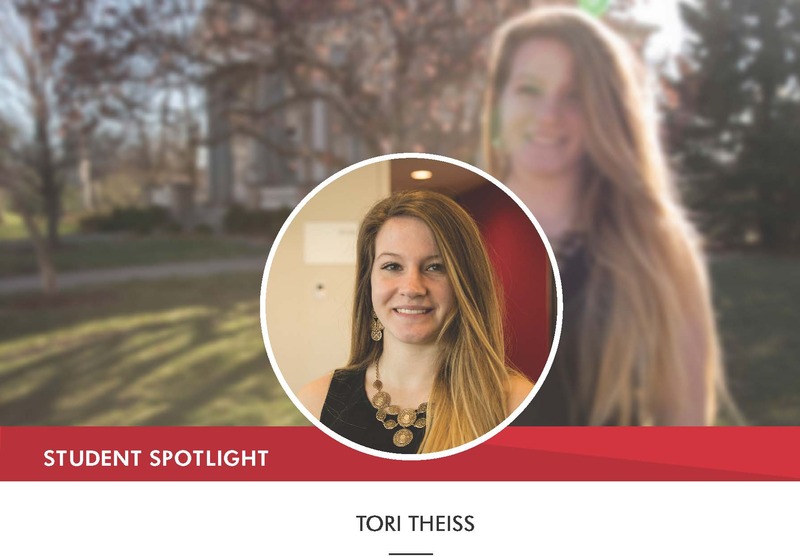 Green Scholarship and the Robert and Tina Ralston Scholarship made it possible for me to focus on my studies and less on the stress of trying to make ends meet while going to school. 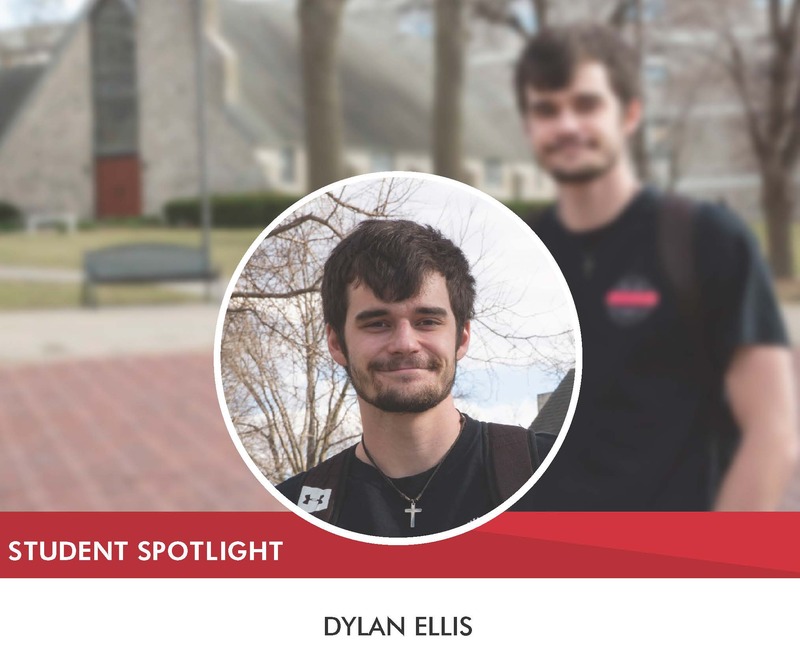 The Alumni Foundation has been my greatest source of financial support throughout my academic career and the assistance has given me so many opportunities that I would not have been able to undertake on my own budget. Their scholarships are truly going to good people who use the assistance to the best of their ability. I know that I would not have made it this far without their support. Get involved as early as you can and start creating opportunities for yourself; study abroad, join organizations and contribute. I have found that when you apply for scholarships, internships and jobs your level of involvement is what makes you stand out amongst others. I have been here for four years, so I love so much! Honestly, the faculty. They have been so willing to help me grow and are constantly striving to give me new opportunities. I feel like they truly believe in me and not only want to see me succeed, but want to help me reach the top in whatever way they can. Whenever I get the chance I love to read, even if it’s just ten pages at the end of the night. I’m also very active. I really like to run and exercise. I always make time for myself somehow! I consider my passion in life to be my education and my research. 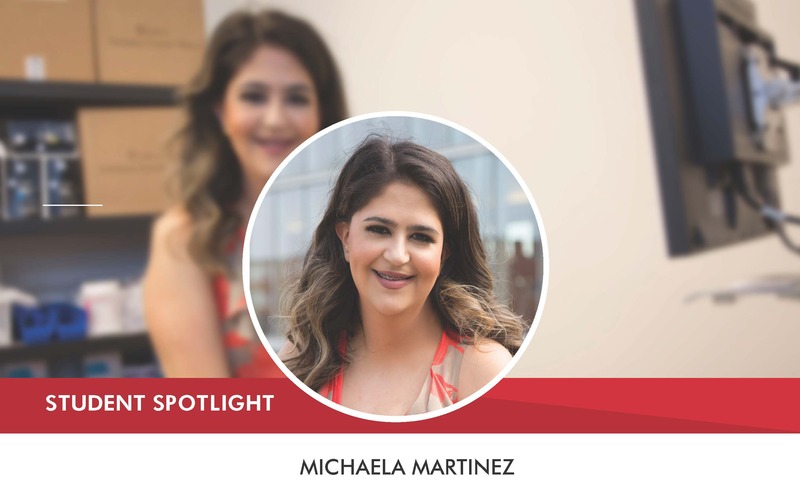 As a young adult who has been living with congenital heart disease for the past 22 years, it has become my mission to continue working with those who also suffer from this chronic disease. My hopes are to increase their exercise engagement and their quality of life. I am currently in the process of applying for PhD programs in exercise/applied physiology. Attaining a PhD would allow me to fulfill my aspirations to teach and work with individuals who are suffering from congenital heart disease. I want to continue to research the impact of exercise as “preventive medicine” in adults with congenital heart disease. I believe there is a significant disconnect between traditional forms of treatment (i.e., drug therapy, operations) and the utilization of physiologists, nutritionists, and trainers to promote preventative measures. Looking at patients holistically, rather than as a set of deformities, yields better lifelong results. 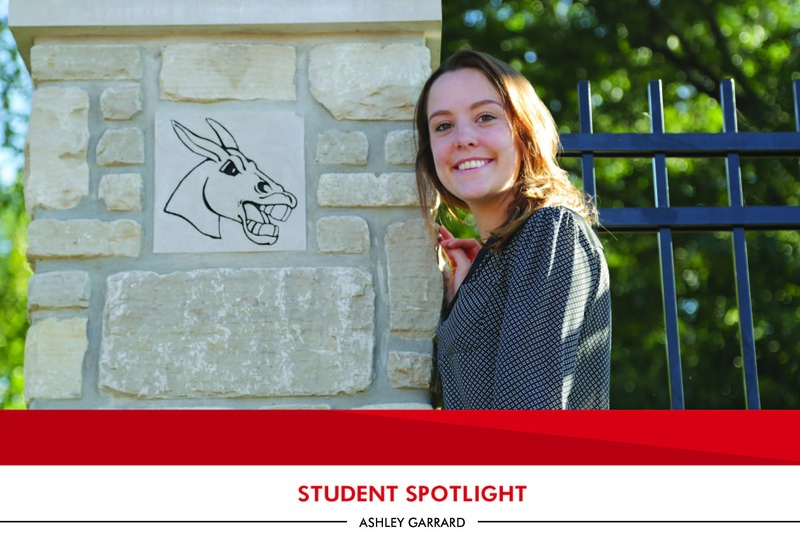 The scholarships from the alumni donors have allowed me to reduce the amount of hours that I work to focus more of my time on my education and participating in active research on campus. Thank you! Your scholarship has come at a time when I need it the most. I am thankful that you selected me. I would encourage them to start connecting with faculty early. Do not be afraid to make those meaningful connections. If it were not for my faculty mentors, I would not be in the place I am academically or professionally. 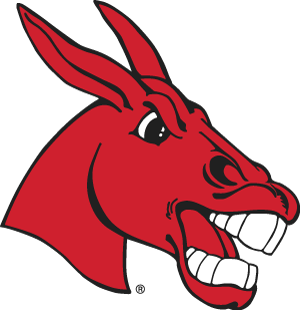 Take full advantage of what UCM has to offer in both their on-campus resources and professors. 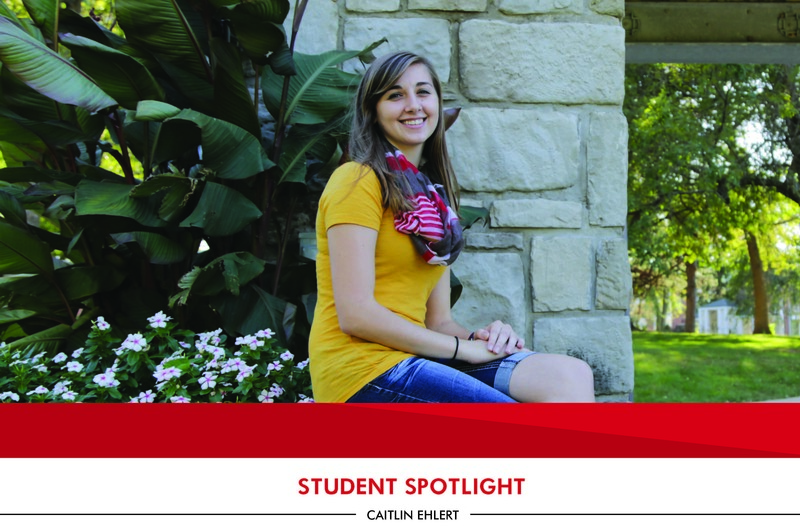 What I love most about the University of Central Missouri is how it has given me a safe place to grow and develop as a student and a person. I am not the same young woman who walked onto campus 5 years ago. Attending college at UCM has given me the chance to meet lifelong friends. When I do find myself having some free time I enjoy working out at the Rec Center on campus, getting coffee with friends, and spending time with my family. I love working with all types of technology, but software is my favorite. I find it very exciting. I plan on earning my master’s degree at University of Central Missouri and then working perhaps in Kansas City for a few years in order to continue expanding my knowledge base before returning to India. I have been able to do so much more than what I ever dreamed I could do on my own because of the scholarship I received. I haven’t had to worry about working or how to pay my bills. Instead, I have been able to focus entirely on my studies and taking part in the wonderful new culture I am surrounded by. From the bottom of my heart: thank you. In India, we are taught the importance of giving, so their generosity is not lost on me. In fact, because of their generosity, my desire to give to future generations has only increased as a priority. Never underestimate the value of hard work. Dedication pays off and important people will notice. Just stay focused and determined to reach your goals. I love the culture. I was so nervous about coming here all the way from India, but everyone has been so warm and welcoming. There are so many organizations and activities to be involved in and all the faculty, staff and students just want you to feel included. I felt like I was home just in my first week on campus. I really like to play sports and be active. I think that is very important, especially when you’re focused on your studies. You need to find something that let’s you have a break, but still makes you a better person. My passion is debate. I’ve spent the last 8 years engaged in multiple speech and debate communities and the skills that I have received during this time are of priceless value. My ultimate goal is to achieve a PhD in the social sciences, most likely Political Science. My scholarships made it possible for me to continue moving forward with my college education. Without them, I really don’t know what I would have done. I would very much like to tell them that their support is an integral aspect of a student’s path to academic success. If you are ever in need of help of any sort go to the Mentoring, Advocacy and Peer Support (MAPS) office on campus. They’re an immensely valuable resource for you, so make sure you take advantage! The friends and mentors that I have met along the way during my time at UCM have completely changed my life. I’m either working on debate research, reading a text on political theory, or relaxing with my favorite television shows! Nursing has become my deepest passion in life. Ever since I job shadowed a nurse back in high school, I knew that was my calling. I can’t wait to graduate and actually start my career. I want to spend my life helping and saving lives. Scholarships have done so much for me! I am a young, single mother of a little boy and because of scholarships I was able to focus on him and my studies, so much stress was lifted off of my shoulders. I would like to say that because of their generosity they have changed and continue to change so many students’ lives, just like mine. Stay focused! I think it can be real tempting to throw in the towel, but just remember why you started and keep pushing forward. The best part about UCM is how engaged all of my instructors have been. They want to challenge you, guide you, and help you succeed however they can. Spending time with my son is my most favorite thing to do! I also enjoy hanging out with my best friends and family, and traveling as much as I can.